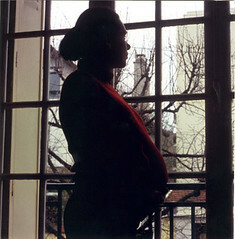 Another possible regret is aborting a child when a teenager and then ever again managing to conceive when one is ready. However, the regret is possibly more about the latter than the former. I know it’s painful for men to lose control over a conceived child, but honestly I think they should have considered that before the act. I don’t think men are qualified to make the decisions they do that affect women’s bodies in this capacity. I was ‘desperately wanted’ and wish that gift for every child. My heart goes out to your friend and to her child. Loved the article and as someone who at 19 had an abortion (oh sometime in May; but I can’t remember the date) and whose boyfriend at the time was pro-life, I am not regretful about my choice. I knew deep down at the time that it was my choice not the boyfriends because I would be the one to bear the responsibility. Yes, every now and then I think I would have a 16 year old IF… but I never EVER regret my choice. I totally agree with your assessment of that therapist–awful. The argument most often advanced by the anti-choice people is that, altho’ you may not want your child, there are many people who’d love to take it. They never mention the inconvenient fact that if said child is other than white, “defective” in any way, or just older than 2 or 3, the bull adoption market gets real bearish real fast. Then, lots of luck to mother & child. I had an abortion twenty years ago. I have never regretted it, not once.